Cicloteque opens two news bike rental centers in Bucharest, one in Tineretului park at the Sincai entrance and one in Herastrau park, at the Charles de Gaulle entrance. The organization, which promotes biking as an eco-friendly and healthy mean of transportation, is also organizing a biking event this Thursday, June 10, at 18,00 hours, in its Tineretului location. Bucharest mayor Sorin Oprescu and the president of Maimultverde association Dragos Bucurenci will also join the biking tour. 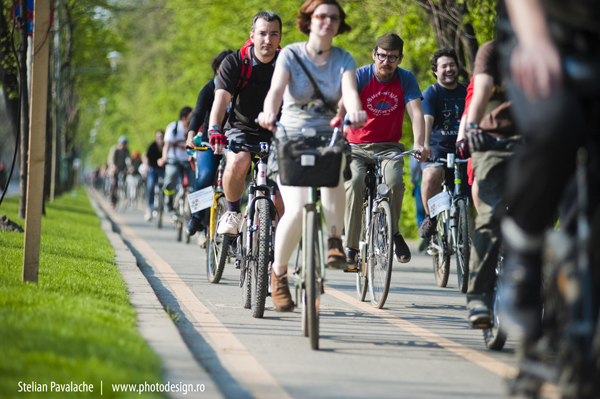 Cicloteque is a project started by Maimultverde and UniCredit Tiriac Bank, in partnership with the Bucharest Parks Administration. The first Cicloteque center was opened in 2008 close to Eroilor square. Cicloteque bikes are available through subscription. A one year subscription costs RON 100 and RON 60 for 6 months. For subscribers, it costs RON 2 to use a bike for one hour, RON 10 for 12 hours and RON 20 for 24 hours. Bikes are also available without subscription, for RON 6 per hour. The association is planning to launch an online payment system on its website. Cicloteque has recently announced a franchise system for the bike rental. Companies can take a Cicloteque franchise, using it to supply bikes to their employees or customers. A station with 10 bikes, the basic package offered by Cicloteque, costs EUR 5,000 per year.